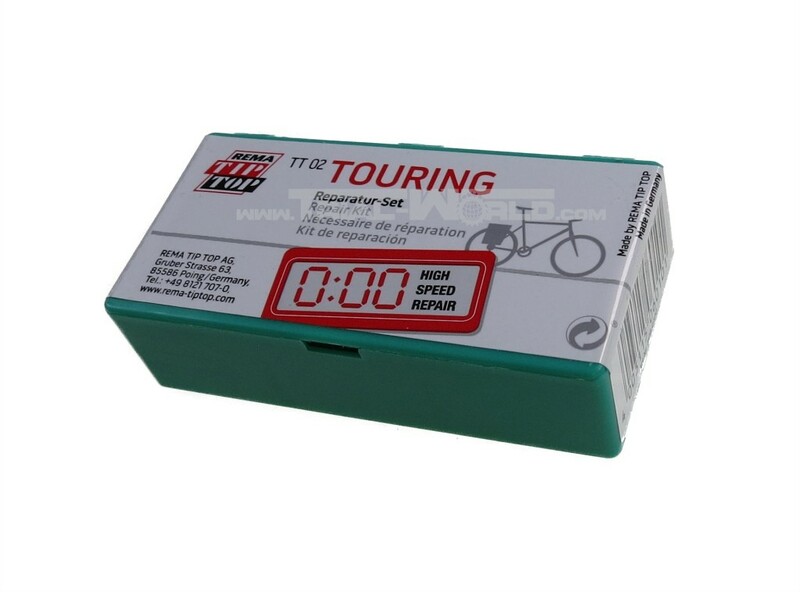 Has proven itself since dacades: Thi Tip Top Repair Kit! 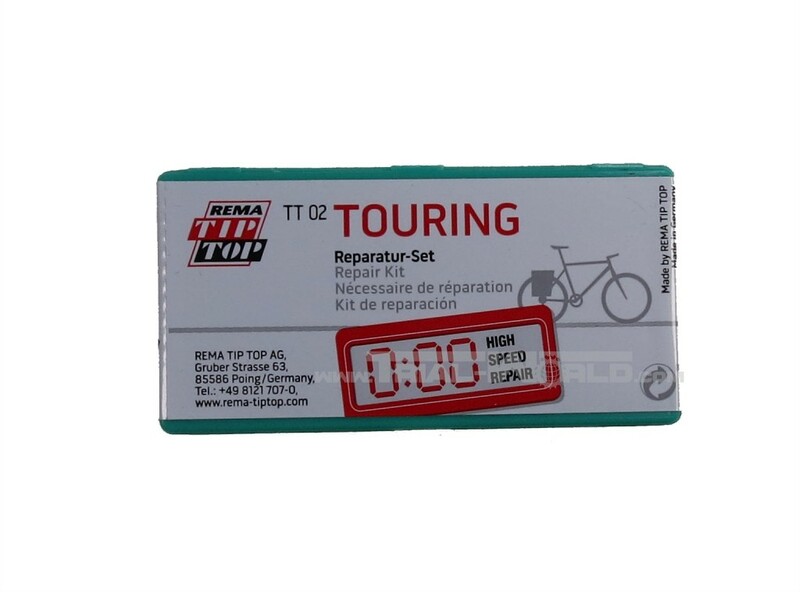 The innovative Touring version of tube reparation without waiting time combines the speed of self adhesive patches with the durability of permanent rubber vulcanization. The special: It's no wating time for the dryness of the SSV Vulcanization liquid necessary. The patch can pe placed directly after rubbing the vulcanization liquid.